Cardiopulmonary resuscitation (CPR) has been around for over a century and its techniques have changed at least 20 times within the past 100 years. Up to date and effective CPR training can mean the difference between life and death. CPR is crucial in the moments directly after cardiac arrest. It is in those moments where CPR training is the most effective at maintaining life and giving an opportunity to the victim to be revived. St Mark James is the leading provider of stand-alone CPR and combined first aid and CPR courses. All CPR courses, regardless of provider, also offer training and certification in the use of automated external defibrillators (AED). Using an AED drastically increases the chances of survival for victims of cardiac arrest. Heart disease takes the lives of at least 1/4 of North Americans and by learning effective and up-to-date CPR you can drastically increase the chances of survival for victims. Candidates that register for St Mark James CPR and AED courses will receive certification immediately upon completion of the course. Candidates must complete a multiple choice test and receive a minimum score of 75% to complete the course. Certification is nationally accredited an valid throughout Canada. Certificate meets government and legislative standards for most provinces. St Mark James certification awards are valid for 3 years. Automated external defibrillator’s are crucial components of lifesaving CPR. 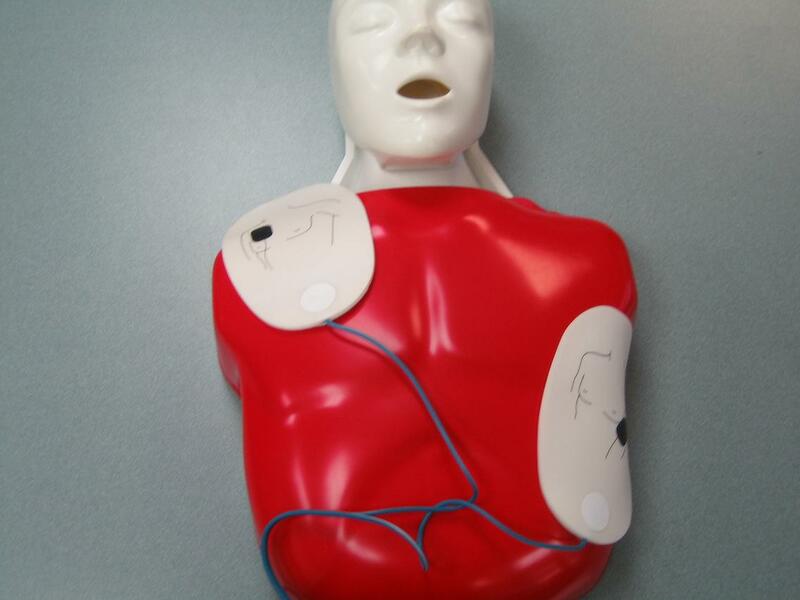 The usage of AED’s has become a essential component of CPR training. Visit our AED training page for more information about using a AED. Candidates that enroll in St Mark James CPR and AED courses will have the option of selecting from 3 different levels of stand-alone CPR training. A fourth level comes standard with a first aid course. The following is a list of the available CPR courses through the St Mark James. CPR level “A” and AED – This course is the most basic CPR and AED course candidates can select. CPR level “B” and AED – This level can only be found partnered with St Mark James child care first aid courses. CPR level “C” and AED – This is the most popular and comprehensive CPR level. CPR level “C” for health care providers (CPR HCP) – This CPR course is designed for candidates in the health care industry. The length of a St Mark James CPR and AED course varies depending on the level. CPR level “A” is the shortest course and can be completed in as little as 3 hours. CPR level “C” for health care providers (CPR HCP) is the longest stand alone CPR and AED course that can take as long as 7 hours to complete. The cost of CPR and AED training varies depending on your location, CPR level and the training partner. Stand alone CPR and AED courses cost as little as 45 dollars and are as expensive as 110 dollars. Our providers also offer St Mark James CPR and AED re-certification programs for individuals that want to renew expiring awards. For more information about our re-certification program click here. To register for a CPR and AED class select your location of CPR certification that you need from the main or side menu bar to be directed to a website that specializes in that level of CPR training. We only partner with the highest quality St Mark James CPR and AED providers in Canada.